OutlookTime turns Outlook appointments into timesheets, Outlook into a time tracking and timesheet billing system and outlook into an ms exchange timesheet. Also see the free timesheet and free time tracking systems from project office live.com. OutlookTime® turns appointments into timesheets at the click of a button! . 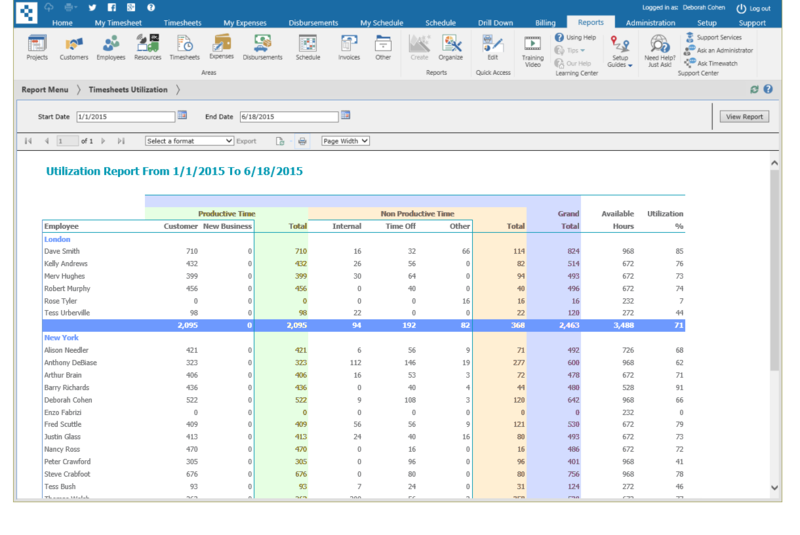 OutlookTime® Outlook time tracking and timesheet reporter supports all Outlook versions and provides an Outlook 2016 timesheet, Outlook 2013 timesheet, Outlook 2010 timesheet and an Outlook 2007 timesheet. Its what Outlook users have been waiting for. 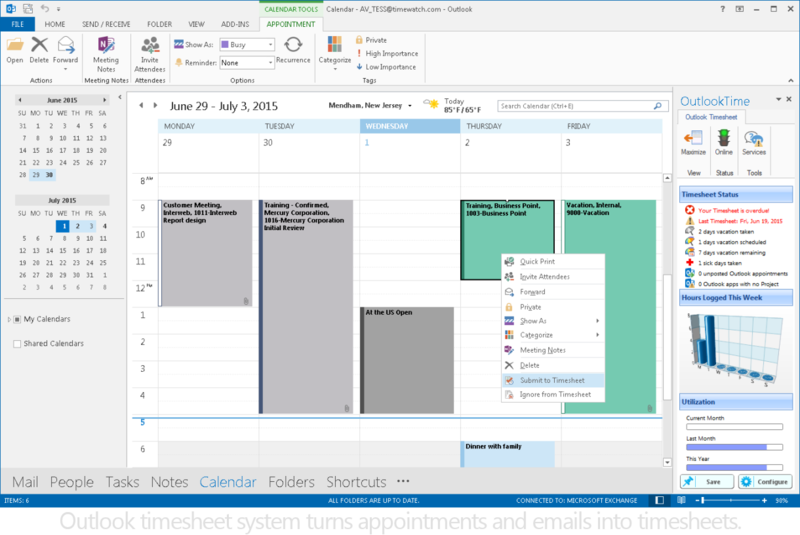 OutlookTime® runs within Outlook and turns Outlook appointments into timesheets. There’s no change the way you use Outlook, we add a customer / project picker into appointments and emails so you can post them to their timesheet. It so simple and easy, you’ll be tracking time in minutes! 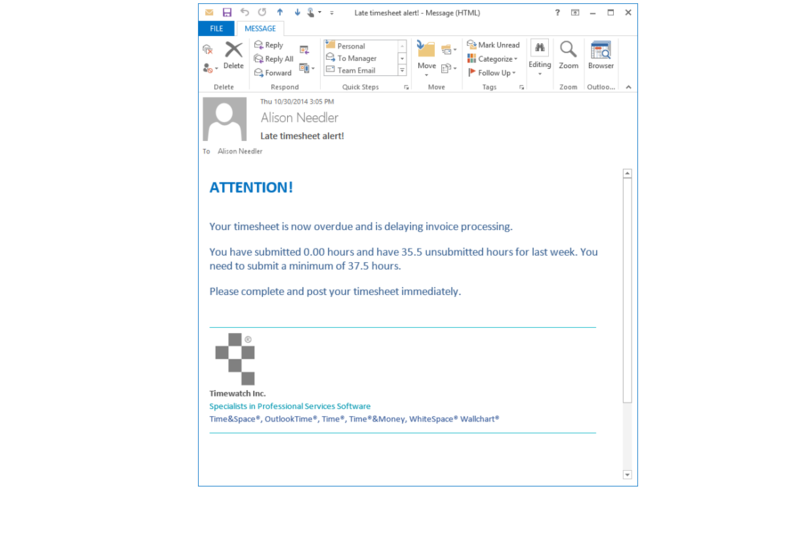 If you use Outlook and enter timesheets, OutlookTime® will save users hours each week, increase the accuracy of timesheets, and pay for itself in minutes. Not only is it easy to enter timesheets, analyzing timesheet data is easy too. Timesheets are consolidated from all OutlookTime® users which you can access through a variety of reporting tools. All editions include a library of standard reports which can be viewed, printed, or exported to Excel, PDF, email or a financial system. 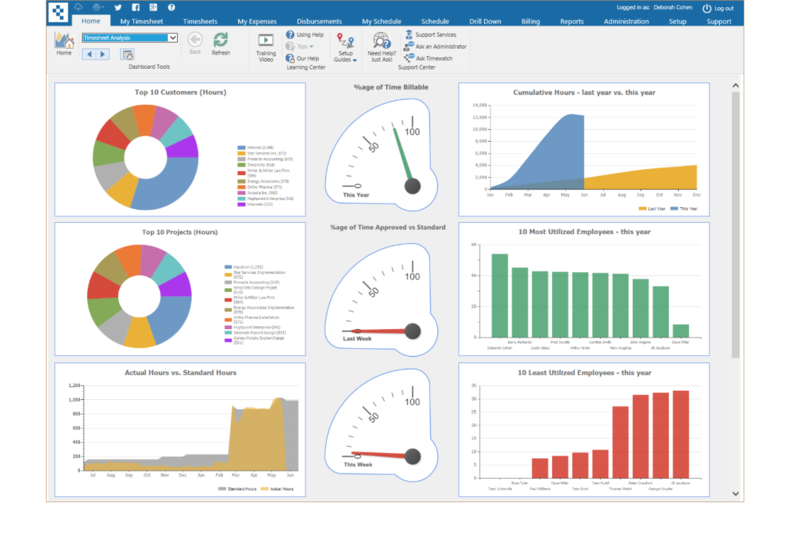 Pro and Enterprise editions also include our unique drill down reporting tools, automated alerts (such as late or missing timesheets) and dashboard reports. 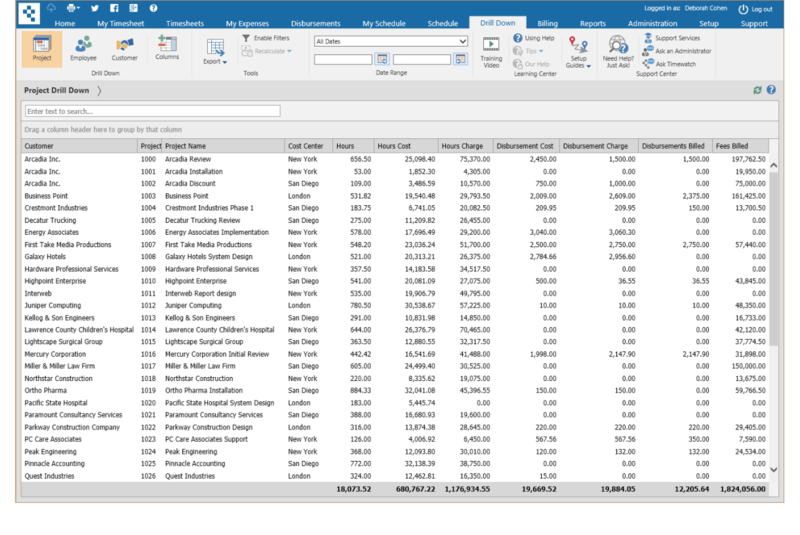 Custom reporting options are also available to allow you to perfectly match your reporting needs. The choice is yours. Your Outlook timesheet system can even start in the Cloud, then move to On-Premise, or vice versa. OutlookTime® supports Outlook 2016, 2013, 2010 & 2007. Yes! We have the best evaluation program in the industry as we let you evaluate our software AND our services. Yes! OutlookTime® includes a free Learning Center, setup guide, training videos & knowledgebase. Professional services are also available where needed. Yes! We provide a free support center and help desk system built in, we also offer a white-glove service to those that want a personal service. OutlookTime® is highly scalable. You can start with one edition, add modules, interfaces or customizations as your needs evolve. it can help your organization please, do not hesitate to ask.